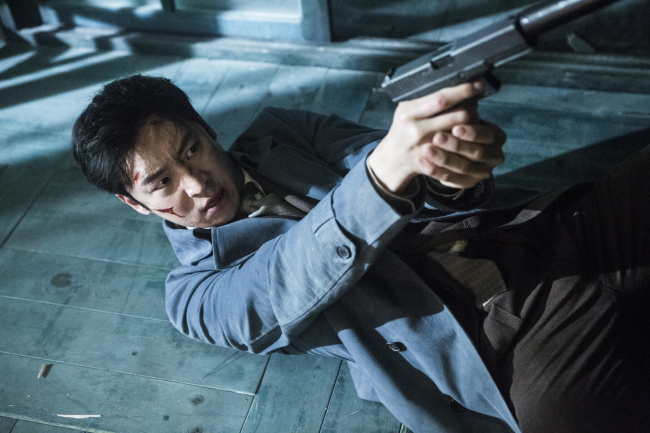 Korean hero flick “Phantom Detective” will open in theaters in the U.S. and Canada this week. The film will open with English subtitles in Los Angeles on May 13 and throughout the U.S. and Canada on May 20, CJ Entertainment, the film’s North American distributor, said Monday. The film stars Lee Je-hoon as genius detective Hong Gil-dong who uncovers the conspiracies of a secret cult organization. It also stars Go Ara, Kim Sung-kyun, Park Geun-hyung, Noh Jung-eui and Kim Ha-na. The film is directed by Jo Sung-hee, whose previous works include “A Werewolf Boy,” starring Song Joong-ki, and the short film “Don’t Step Out of the House,” which was screened at the Cannes Film Festival in 2009. A prescreening of “Phantom Detective” for foreign audiences will take place in Los Angeles on May 12, and in Dallas and New York on May 17 and May 19, respectively.